Ocean Free visits two amazing destinations each day. The Great Barrier Reef and Green Island. 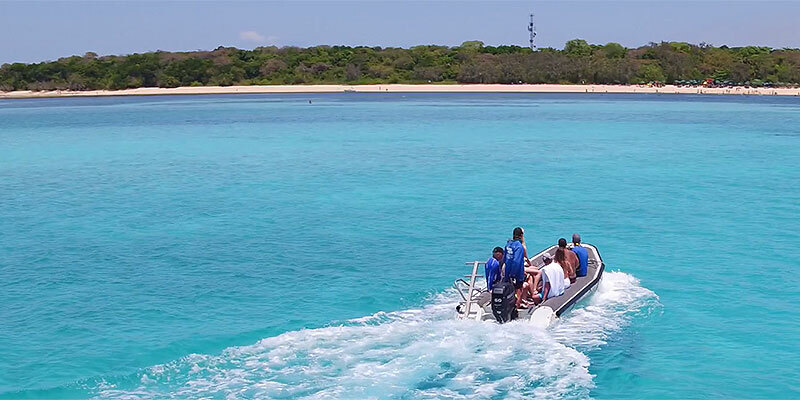 As the only operator with a reef mooring at Green Island, we offer our guests the unique opportunity to tailor their day, to suit their interests. You may choose to spend the whole day on Ocean Free, exploring the Great Barrier Reef’s Pinnacle Reef on guided snorkel or diving tours, with lots of free time to swim and relax. Or perhaps you want to maximise the sail and island elements of our trip, in which case dinghy transfers deliver you straight to the sandy beach for a day of island time. Most guests like to do both, experiencing the best of both worlds. Making the most of their 4.5 hours to explore the Great Barrier Reef and its only rainforest island. The choice is yours, because at Ocean Free, we’re all about making sure you have the best day possible. Choose Ocean Free … for that personal touch. 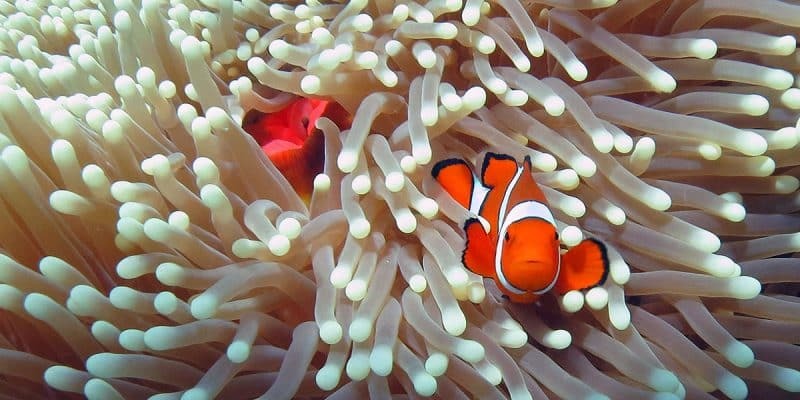 Welcome to the Great Barrier Reef, an amazing underwater landscape awaiting your discovery. Our destination is Pinnacle Reef, one of the Great Barrier Reef’s many separate reef systems. Located 1km offshore from Green Island, this is our exclusive destination visited by just 25 guests each day. Here, the coral gardens rise to 1m beneath the surface, teeming with a multitude of colourful reef fish and marine life, including nemo, sea turtles, giant sea clams and even some timid reef sharks. Snorkel, dive and be at one with nature at Pinnacle Reef, a highlight of the Great Barrier Reef. Green Island is the only Great Barrier Reef island to have rainforest vegetation, making it a very special place to visit. As well as being home to a tropical eco-resort, Green Island is a national park with interpretive boardwalks and signage explaining the island’s evolution, colourful history and its cultural importance to the Traditional Owners. Sandy beaches surround the island and are a great place for birdwatching – more than 55 species are frequently seen here – or just relaxing to the sound of waves lapping against the shore. There’s also a range of paid for activities and attractions, including a glass bottom boat trips.